Katelon, the proprietress of Foxy Dog Grooming and Boutique is a certiﬁed master groomer and has dedicated most of her life to providing outstanding dog grooming services that make dogs look and feel their best, while at the same time making their human families truly happy with the results. Anchored on a genuine love for dogs and a strong passion for service, Foxy Dog Grooming was founded over 25 years ago as a way to provide superior dog grooming services to clients in Nanaimo, Duncan, and surrounding areas. 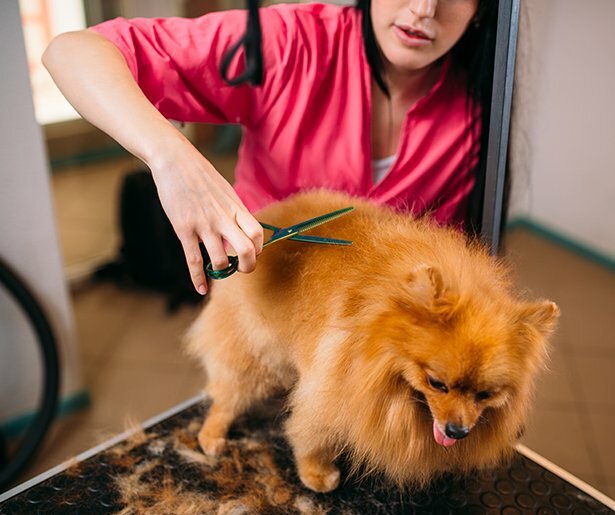 When you come to us here at Foxy Dog Grooming, you can be sure that both you and your dog get the friendly personalized service you deserve. We are committed to delivering total customer satisfaction and see to it that all your needs are properly cared for from start to ﬁnish. Master Groomer Janet Lostale is the head groomer at our Central Nanaimo location (oﬀ Rosstown Road). She is an Master Canadian Professional Pet Stylist, international competitor, and has won numerous awards and trophies. Janet is the youngest to earn her Masters certiﬁcation and she completed it in under a year. In fact Janet enjoys grooming so much that she oﬀers a 12-week program at Foxy Dog to train new groomers. When she isn't grooming, Janet is in the show ring with her yorkies. She has bred and raised yorkies for more than 20 years. Here at Foxy Dog Grooming and Boutique, we provide a full range of dog grooming services for all breeds of dogs. With in-depth knowledge, experience, and a wealth of skills acquired through decades of continuous practice, Foxy Dog Grooming and Boutique stands out as the premier destination for dog owners who want only the best grooming and ultrasonic teeth cleaning services Nanaimo and Duncan have to oﬀer.